This post has a MP3 audio file. This is NOT a podcast, and I am NOT a podcaster. I just recorded this conversation and I figured I would transcribe a few questions. We ended up talking for two-hours. At the end, I thought the discussion was interesting, and relevant. So, you get the whole thing. Christopher Knowles writes an amazing blog, THE SECRET SUN where he investigates the profound themes that are emerging in our popular culture. He has a really compelling take on the (not-so-subtle) subconscious goings-on within the soup of our modern culture. I referenced his blog on my site before. I gotta say, I'm kind of addicted to his site, and I really scrutinize his writings, and sometimes there is stuff he unravels that just has the ring of truth. 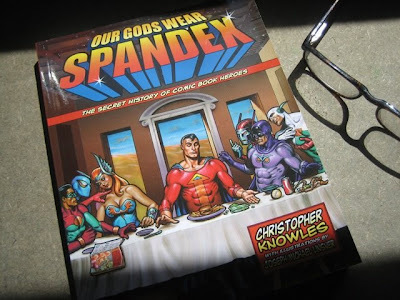 Chris is the author of OUR GODS WEAR SPANDEX: The Secret History of Comic Book Heroes, a really insightful book about the parallels between ancient mythologies and modern comic books. Also the co-author of The Complete X-Files: Behind the Series, the Myths, and the Movies, published by Insight Editions. I started with 3 simple questions. I figured we would just answer these, I’d say thanks and I transcribe them and post them as text. Well, the conversation ended up being almost two hours long. I’ve included what I had written down to ask. 1. I’ve read a bunch of your work, and you are working to define a mythic under current in our present day society, and you focus on pop culture. What are you finding? Is this the reality? Or, is it something stranger. Is this stuff just welling up from some hidden place? 3. This question is self-serving on my part. In the last 3 years or so, I’ve had such overt and heavy handed synchronicities and they are all pushing me in one direction. This force seems to be pushing me to openly explore my own experiences, and it’s a jumble of UFO stuff, weird coincidences and dreams. I would love to get your take on this, any thoughts on what I’m dealing with? The answers were long, and lead to other questions, and we could never really answer anything. The circular process of pondering was extremely illuminating, and the conversation left me with a deeper set of insights, but the mystery remains. I'll add that whenever I really get immersed in the SECRET SUN's postings, I end up with a weird zap on my head. And I suddenly find all these intense connections and clues, it's like I can sense the spiderweb just beyond my conscious perceptions. During the conversation, Chis states that he's kept a journal of his personal synchronicities. When I asked him about this and wanted a rough number of how many, he paused - collected his thoughts - and then said, "Tens of thousands." Now THAT peaked my interest! 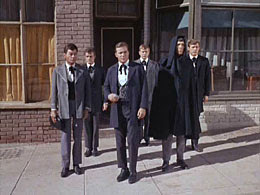 Return of the Archons, a STAR TREK episode from 1967 with deep roots in anciet esoteric knowlledge. Chris says it's, "Gnostic as hell!" Chris sees a terrifying little entity at the foot of his bed: The Leprechaun story. Pushing Tin is a corny Hollywood movie with heavy-handed symbolism. During our skype call I referred to a 5-minute Pixar animation as TAKEN, I got the title wrong - it's called LIFTED, it's a impressive piece of light entertainment. No dialog, it just assumes you know the whole story. I recommend this excellent two part audio interview (better than mine) between Chris and Aeolus Kephas. And, on St. Paddy's Day I felt like I was channeling Chris with this post about OWLS & SUPER MODELS. LOL, well. for a person who claims he's not a good interviewer, you actually managed to pull a very enjoyable 2-hour podcast with Chris. I don't know if you have heard the Radio Misterioso's interviews that Greg Bishop conducts on Kill Radio, but he uses exactly the same approach of not having a defined script of here he wants the interview to go; he just lets his guests speak their mind as if they were having a chat, and that's what is so great about it. I can not possibly tell you how amazing a gift it was to hear you and Chris talk for about two hours. Providing information like this -- on the very edge of what is going on -- really brings forth what is important, interesting and helps to foster a grand connection between what is happening and those of us seemingly drawn into the mix. Again, thank you tremendously for the audio and for your hard work and dedication to topics that defy understanding yet inspire something truly deep within! The best part is when he accuses Campbell of poor scholarship. Pretty funny.